Not all PTFE tubing is the same. The devil lies in the details. As a purchaser of PTFE tubing the questions that need to be asked is how PTFE Tubing manufacturers ensure that the quality of the tubing is maintained over large quantities of PTFE tubing manufactured. It is one thing to manufacturer 100 mtr and another to 25,000 meters of PTFE tubing for a single order. What is the control mechanism in place to ensure all manufacturing parameters for PTFE Tubing are tightly controlled? What systems do PTFE tubing manufacturers have to record and share information between sales, quality, production & logistics departments? It is expected that PTFE tubing manufacturers will have certified to a quality standard like ISO however just certification is not enough. There have to be systems in place and a culture conducive for continual quality improvement. Care must be taking by the PTFE Tubing manufacturers to ensure the ID/OD dimensions are maintained along the length of the PTFE tubing coil. PTFE Tubing Manufacturer’s manufacturing quality PTFE tubing ensure that they are tested for leakage so pin holes not visible to naked eyes are checked for. PTFE Tubing manufacturers needs to understand the technical application and work with the customer at times starting from design phase. PTFE Tubing manufacturers work with customers, particularly OEM PTFE Tubing customers to develop customised PTFE Tubing. This is not an easy job as not only does this require technical acumen but also the necessary top management initiative & investment to support new development. At time PTFE Tubing manufacturers spent weeks or months before a PTFE Tubing size is approved and them commercialized. Quality PTFE Tubing manufacturers understand that systems are driven by people and investment in people is of paramount importance. Production staff and technical sales staff needs to be trained on regular basis. They need to me motivated and the right environment created where in some cases disciple and in some cases creative thinking is required. Production staff at a PTFE Tubing manufacturing company typically needs to be focused and disciplined to follow a set manufacturing procedure to the T while the solution design team needs to formulate creative solutions to meet customer goals and/or solve customer problems. It is a must for PTFE Tubing manufacturers to have a digital system, like a enterprise resource planning, in place to scale up and grow. Without a digital system PTFE Tubing manufacturer will find it extremely difficult to grow and maintain consistent quality as there no centralised system to manage information and work flow. Sure, it takes decent investment and 6-12 months to get a ERP system fully operational but the benefits and returns in the long run are very good. Like buying any other product, buying PTFE tubing is an experience for the customer. It’s important that the customers experience buying from PTFE Tubing manufacturers is a pleasant one. For example, customer enquiry is understood well, if not clarification seeked and prompt quotation given. Quotation is clear and covers all aspects of a commercial terms. Customer queries post quotation are answered in a timely manner and a sales order confirmation given to customer along with delivery details among other things and finally delivery is done on time. While all this is happening to keep customer informed. All these steps are easily said than done but with the right training for staff, right systems in place and vision to delight customers this is certainly achievable. At Advanced Fluro Tubes we endeavor to delight our customer through a quality product and a smooth experience. Most importantly we do what we say and we say what we have done. No sugar coating!!!! 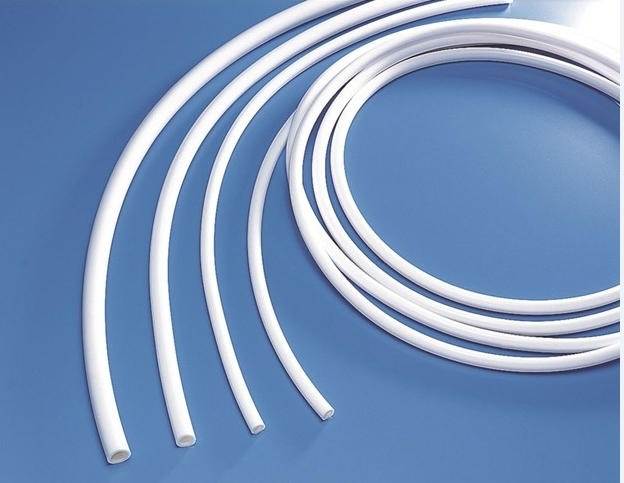 PTFE Tubing manufacturer needs to have a continual product improvement program. This means making a product better or faster or both. Improving the product quality requires engineering or sometimes just simple improvement in material handling. Same goes for improving product yield. At Advanced Fluro Tubes we have regular brown bag sessions without team to come up with creative out of box ideas to manufacture faster and better PTFE Tubing. At Advanced Fluro Tubes we get some crazy ideas. All ideas are collated and discussed to then select a few winners. One other aspect that PTFE Tubing manufacturers needs to focus on is supplier or vendor management. This program should cover not only the raw material quality assurance but also assessment and mitigation of risk associated with steady supply of raw materials. Advanced Fluro Tubes works very closely with our suppliers to provide feedback in terms of supplier rating. The ratings are provided to suppliers on regular predetermined intervals. Improvement programs are suggested to those suppliers who are not consistent performers. Advanced Fluro Tubes is ISO 9001:2015 certified PTFE Tubing manufacturer & PTFE SS Braided Hose manufacturer and our goal is to delight our customers through innovation, consistent quality and a great experience.